The good news is I’ve found a brand of collars that tick all the right boxes for practical and pretty. The bad news is they’re not cheap, so unless you’re very lucky you are not going to be stocking up with one for every day of the year. However, I’ve found them to be so hardwearing you won’t need one for every day. Honest. I stumbled across Holly&Lil about four years ago. 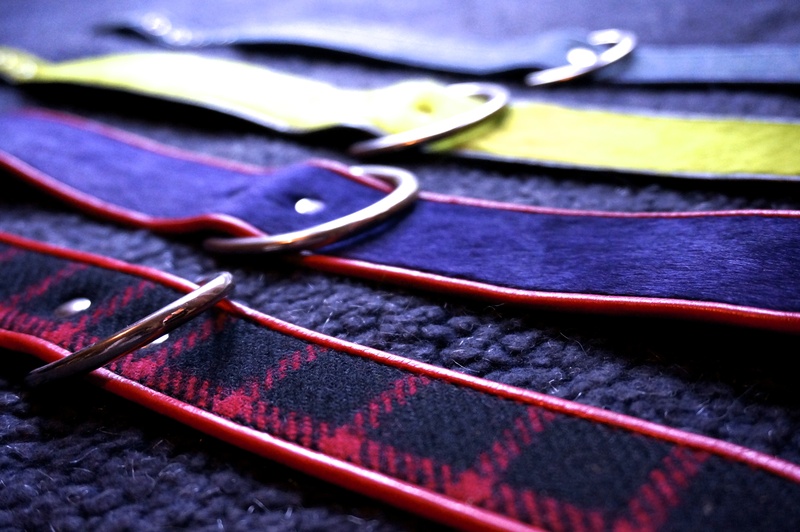 Based in Bermondsey Street, London, they sell bespoke handmade collars and leads. Most are made to order but some are available off-the-rack – you can find these in their store, in Harrods pet department and on the Holly&Lil stand at shows. Designs range from tweed, to cowskin, to leather union jacks, to charm collars and much more. Rory has four Holly&Lil collars (pictured at the top of this post). I have bought one a year since I discovered the brand. They are lovely to look at and sit nicely on Rory’s neck. I have both tweed and cowskin finished products and they have survived everything from regular dunking in local lakes to fox poo rolls (although I’m not convinced they’d survive one of Rory’s worst rolls, but then nothing could. I once put a leather collar in a bucket of bleach for half an hour after a particularly bad roll – it still didn’t get rid of the smell). They are backed with leather which Rory has found comfortable – quite a big deal because he gets rubs under his collars (he’s ridiculous). I like that there is a separate ring on the back of the collar for your lead – it really does save time and stops having to twist the collar. Rory is quite enthusiastic when off lead and I like to be able to fit a whole hand between his collar and his neck – the cowhide collars do slip around so the main ring finds its way to the front occasionally, but once I put the main ring back on top they tend to stay. The tweed collars don’t seem to slip at all. When out walking I can grab Rory by the ring on the top to hold him while we pass a runner or similar and then let him go. 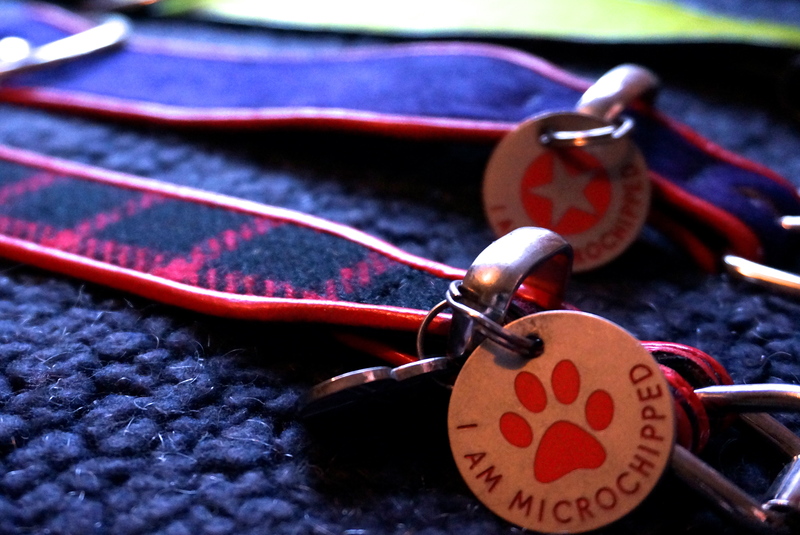 This separate ring means that your dog’s tags are attached to the front buckle keeper, out of the way. Just be careful while trying to get them on – the thick, good-quality, metal keeper means opening your dog tag coil wide enough to get them on is fiddly and has resulted in me breaking several nails. 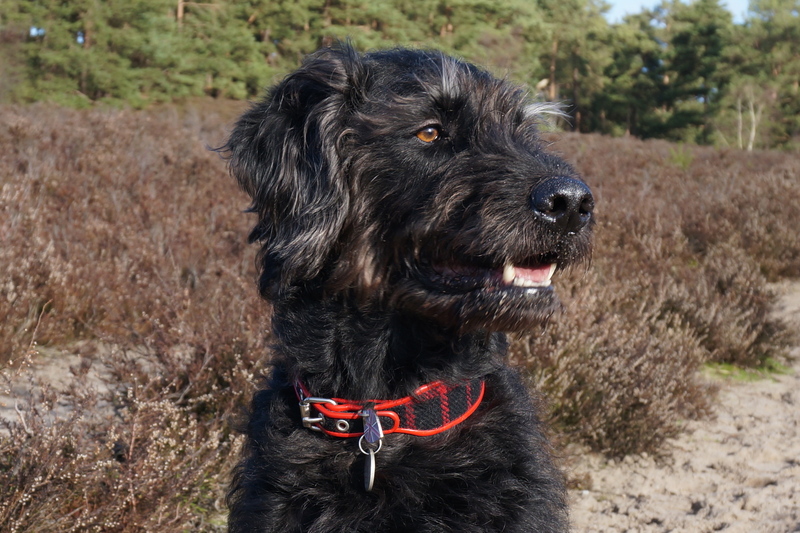 Collars for a Labradoodle-sized neck start at about £100 depending on the design. However, keep a look out for the sale collars because you can get some real bargains. I’d also advise signing up for the Holly&Lil mailing list to receive special ‘newsletter subscriber only’ deals and early notification of sales on the website. Here are some pictures of Rory wearing his Holly&Lil collars from my Instagram feed. Review: Holly&Lil collars | Live. Love. Learn. Write.